Fitness seems to be all go, go, go. It’s running laps around the track, picking up the pace of your cycling RPM, and fitting in as many rounds as you can in a 20-minute AMRAP. But, not everything is about speed. Isometric training is one place where focusing on tension pays off. 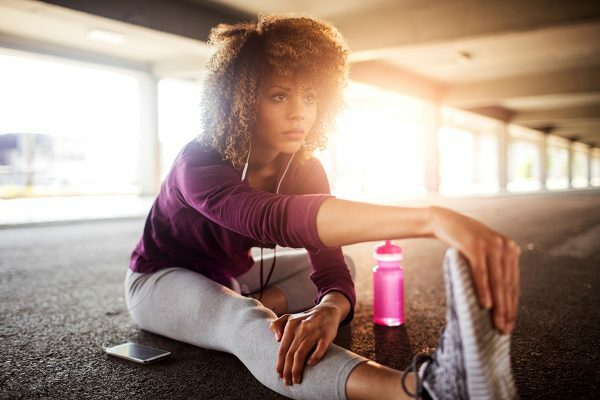 “People think you have to be moving in order to be doing something, but, holding a posture, such as a high lunge in yoga, works to strengthen your core and spine, allows you to mentally focus, and teaches you to balance,” says Aaptiv Trainer Ceasar Barajas. “You’re not only working the large muscle groups, but you’re engaging the stabilizing muscles, as well.” Concentrate on contraction, and get strong without moving a muscle by adding the following movements to your training routine. 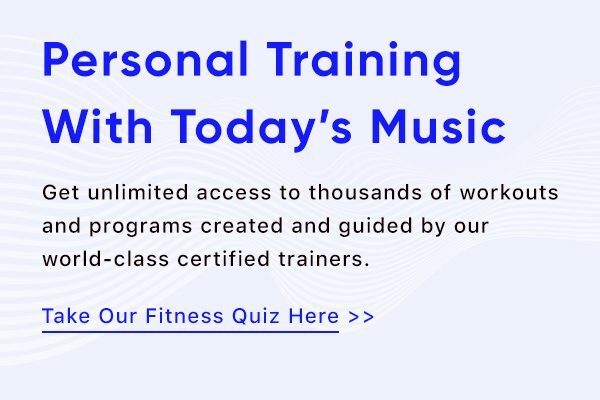 Have you tried Aaptiv’s fitness programs yet? Add these strength training routines in with your isometric holds. When it comes to planks, don’t be afraid to embrace modifications. “People think pressing the tops of your knees into the ground is a weaker variation of a plank, but it isn’t,” Barajas says. That modification alone can actually help strengthen you by allowing you to contract your core a bit more, he explains. “Your body won’t move but maybe a quarter of an inch. Doing 30 seconds of that can leave some of the fittest people on earth screaming for mercy,” Barajas says. With this move, you’ll strengthen your abdomen, arms, wrists, and spine. Looking for variations on a traditional plank? Mix it up by switching to a side plank or reverse plank. Add these in as a “pause” between dynamic movements or save them for an end-of-workout challenge, pushing yourself to hold your plank for ten seconds longer each time. You might recognize this movement as chaturanga in yoga, but you can incorporate it into your training, as well. “This is a nice way to vary push-ups,” Barajas says. “Start by holding high plank for 15-20 seconds. Check out Ceasar’s top yoga classes in the Aaptiv app today! If you think wall sits mean break time, you’re wrong. “I love wall sits because everyone thinks, ‘Wall sits, I get to sit and chill.’ No, you get [to] literally sit and suffer,” Barajas says. For this movement, make sure that you bring your hip crease at least level with the your knees and press your feet firmly into the floor. Then, look for variations reflective of your goals. 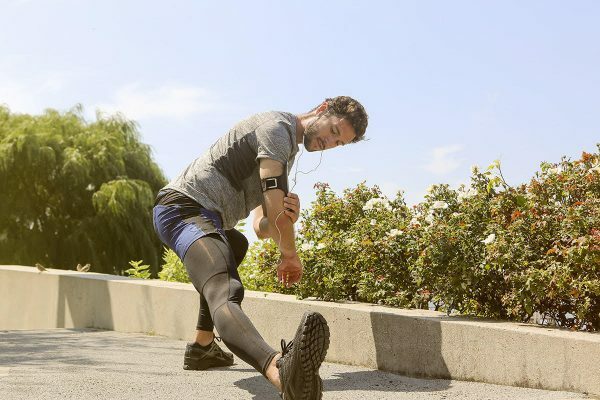 “If you squeeze your legs and feet together and “zip up” through the ankles, then you’re working more of the outer thighs,” he says. “If you decide to go into a traditional squat with feet just outside of shoulder width, you’re now you’re working more of the adductors and the inside thighs.” Add this as a burnout challenge at the end of your workout. Aim to hold it for as long as you can. As it turns out, you can get stronger from sitting—as long as your chair is imaginary. This movement forces you to stabilize your core to maintain a largely upright position and calls on your legs to be strong and supportive. Working on maintaining a neutral arch in your spine also forces you to be aware of your posture and body positioning. Weighted, walking lunges aren’t the only type of lunges that belong in your training routine. As opposed to the forward lunge technique, static lunges force you to stay in the split stance. Try to hold this position for five seconds the first time, and then ten the second. By the end of two weeks, you’ll be holding your pull-up modification for 15-20 seconds. See all of Ceasar’s classes inside the Aaptiv app. Learn more about Aaptiv today.